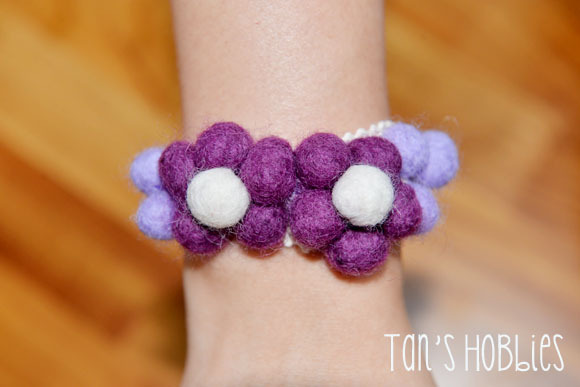 A romantic, cute, fun and fluffy wrist corsage. They are two fluffy felt wool flowers. 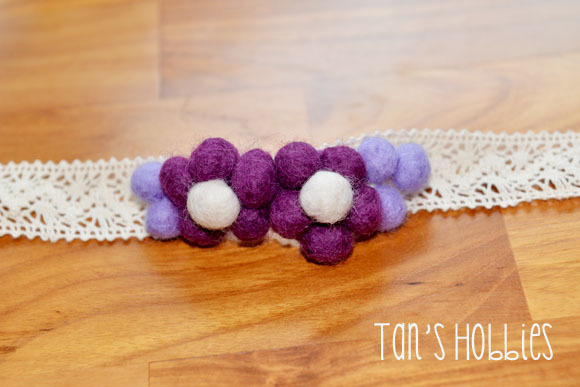 There is a length of classy lace attached to wrap the flower around your wrist or tie it on your hair. Please email me with details of your choice of colors. I specialize in custom design work. While this would be lovely for bride or bridesmaid, it can also be worn for any special occasion. Fits most any wrist as you can tie it to the size you need. Hey Sugar - I see you are still creating the most fabulous art work for one's wrist -- you are so talented! This is useful article that you have posted here. Thanks For Sharing. We are Manufacturer and suppliers of Boxing Gloves, Martial Arts, Fitness Wear and Weightlifting Accessories. Hello and thank you for visiting my blog. A short intro about myself: I am just an ordinary woman who loves doing art and craft stuffs in my free time. I have quite a lot of hobbies actually; to name a few, paper folding (origami), papercrafting, making cards, quilling, cross-stitching, and molding clay. I also like playing instruments such as the organ, harmonica, and keyboard. I enjoy meeting with others who love crafting as much as I do. I would really appreciate if you could leave any comments to help improve my blog. You are welcome to link to Tan's Hobbies with a photo and proper credit. All words and images, unless otherwise noted, are © Tan's Hobbies and may not be used in any other way without my written permission. The crafts and tutorials are for personal use only. Thank you so much for understanding and please drop me a line if you have any questions.